This year, a new gift has arrived from the 7 Duff’s just in time for the fall. 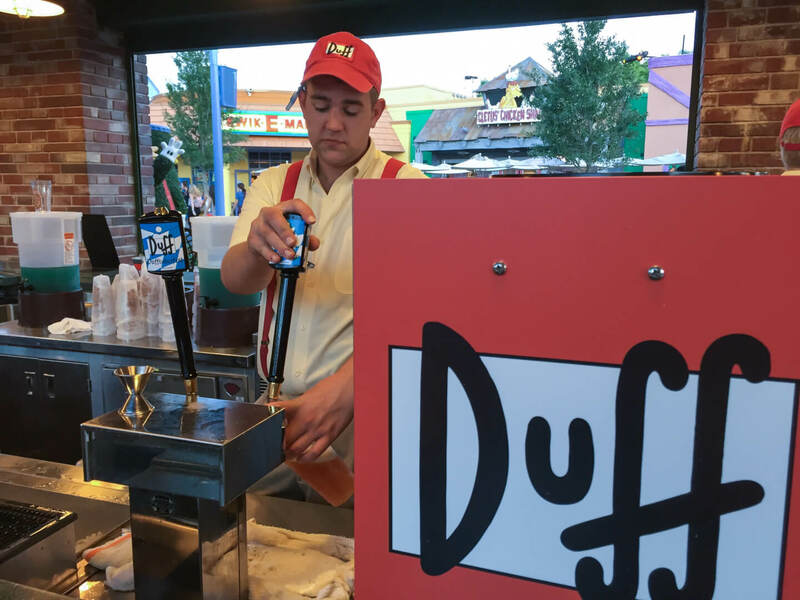 A new Duff beer joined the taps at Moe’s Tavern and across Fast Food Blvd at the Duff Beer Garden. That’s right, a newly created Duff brand beer has arrived. The first addition since this area opened in June of 2013. Dufftober fest, a Simpsons take on the classic Octoberfest German beer is now flowing after making its debut on Friday night for kickoff of Halloween Horror Nights. Things haven’t changed much with the selections of brews, and both bars along with Flaming Moe’s inside the food court, still serve the original Duff, Duff Lite and Duff Dry alcoholic beverages. Having a fourth addition, even if it’s only a seasonal offering, goes to show the attention that Universal Orlando has been taking to cater towards their guests and local season passholders. Its always been about the details here in Springfield, and a perfect example of how the bar continues to be raised in these immersive environments. Since Comcast acquired Universal Parks & Resorts, they’ve gone above and beyond what full immersion is. No longer is it just what you see and feel in a new environment, it’s also about what you taste. 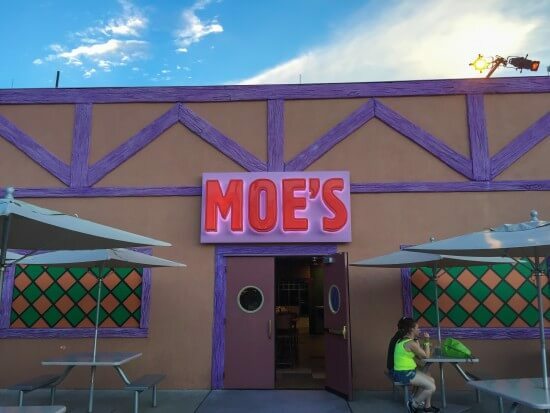 From Krusty Burgers to Flaming Moe’s, to Duff Beer and Lard Lad Donuts… you cant help becoming lost in the culinary carnival of wonderment they’ve built. These exclusive beers are only for consumption of those being ages 21 and older, but for the younger patrons, the bars still offer non-alcoholic Buzz Cola and Flaming Moe’s. 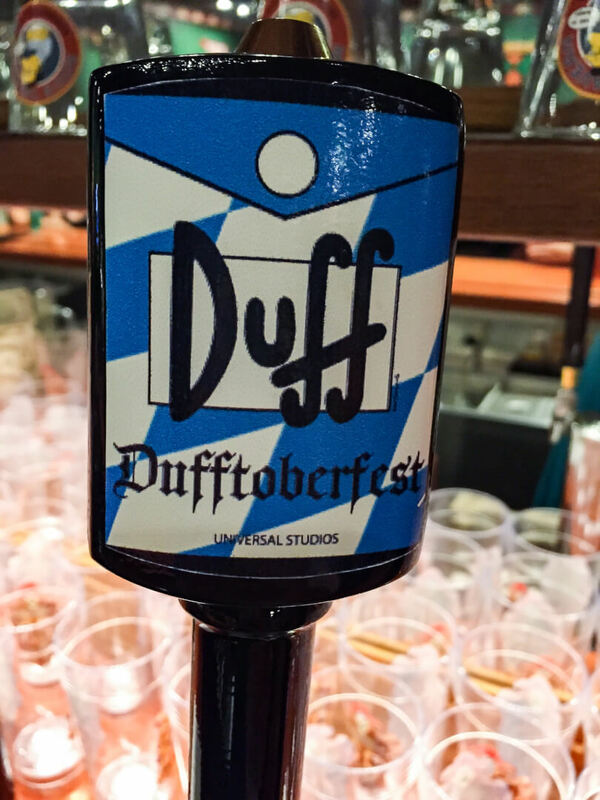 Be sure to swing on by Springfield and grab an ice cold Dufftoberfest and sample the other Duff offerings. 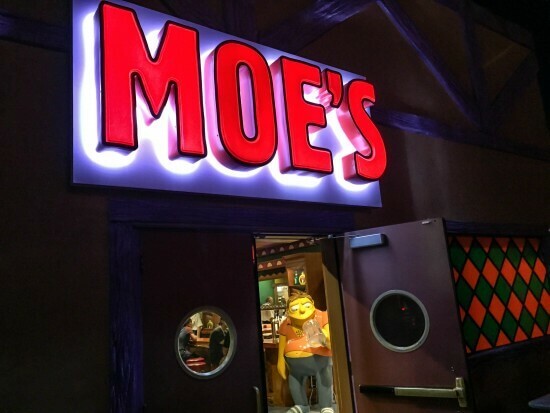 Moe’s Tavern is open daily and you’re guaranteed to always find a familiar face waiting inside day or night. It would be great if they served Adequate Duff.